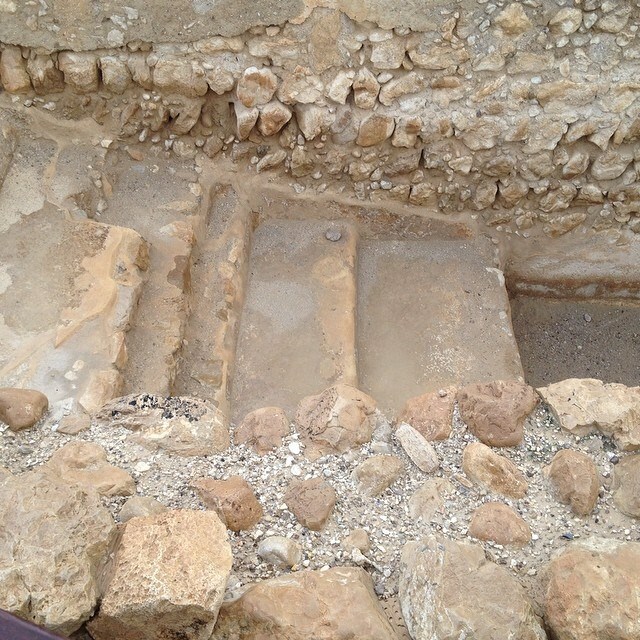 Steps down to a ritual bath at Qumran. 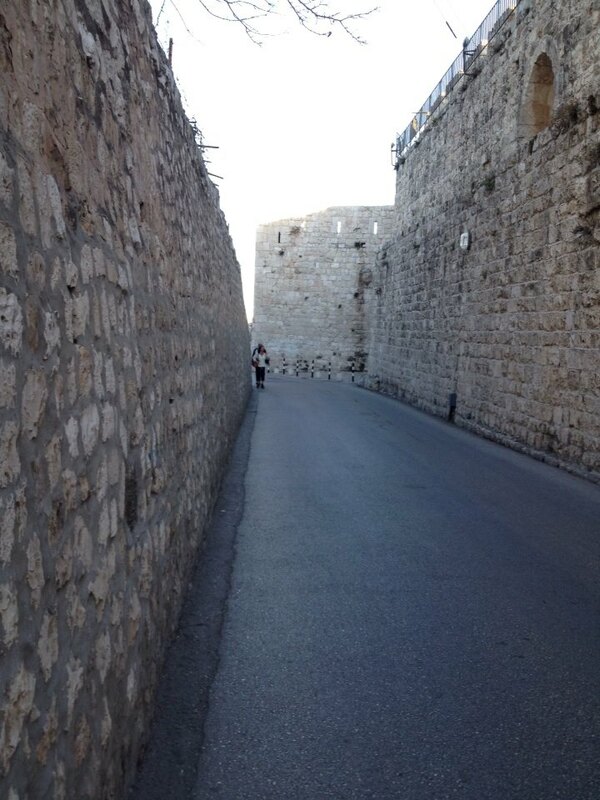 I returned last night from a 2-week trip to Israel and Palestine. 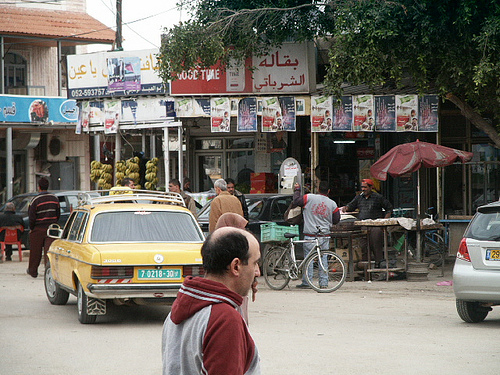 We spent a Jewish Sabbath in an orthodox town development that is part of an older city that works rather like a suburb to Jerusalem (kind of the Long Beach to Los Angeles [no, it’s not a settlement]), and I went to Jericho via 2 different taxi cabs (one Israeli, and one Palestinian). We spent time in Tel Aviv, a new city which houses more Bauhaus buildings than any city in the world, and we walked around Jaffa, which is reputedly the oldest port in the world. We saw churches, mosques, art galleries, ballets, street people, beggars, date sellers, and a lot of cats. We saw two camels. We saw Israeli army recruits, who were less than 5 feet tall. We met a 9th generation Jerusalem textile dealer who obtains and sews religious gear for Catholic bishops, Protestant ministers, Muslim Imams, and Chasidic Jews. His shop has a glass floor, under which you can see the remains of a Byzantine Church. His wife sat by the cash register smiling at us in her hijab. In Beit Shemesh, women wear chic wigs and dresses on one side of the street and their husbands and sons wear black yarmulkes and jogging shorts, while across the street Chasidic men in fur hats and peyot (long curling side locks) walk rather than drive. The two sides don’t meet, and you best not cross over to encounter the Chasids unless you’re wearing the appropriate gear (and are also a man). It’s a crazy place. Chaotic, strange, inspiring, sobering. Divided. Many people have written about the political “situation(s)” in the Middle East. I am not a skilled political thinker – having grown up with angry, undereducated Republicans, who didn’t really understand the art of political dialogue. My husband’s family engages in this kind of conversation on a regular basis. But political discussion has never felt easy to me. So I tend not to engage in it. I met people whom I liked very much. I liked the women who talked with me in Beit Shemesh even though I am clearly not an “observant” Jew. I liked the Romanian couple whom we met on our tour of Jericho and who asked if the orthodox priest at the brand spanking new church in Jericho could say a prayer for a relative or me. I gave them my grandmother’s name, as she was – at least originally – a Russian Orthodox Christian. And I liked the Arab-Israeli cab driver, who explained that in order to maintain his Israeli citizenship, he had to maintain an apartment in Jerusalem as well as a house in Bethlehem – a practice which he felt was discriminatory. I liked the woman who helped us in Tel Aviv – she had both a German and an Israeli passport and identified as Jewish, Israeli, AND German. Then we came home, and our taxi drove us home from the airport. 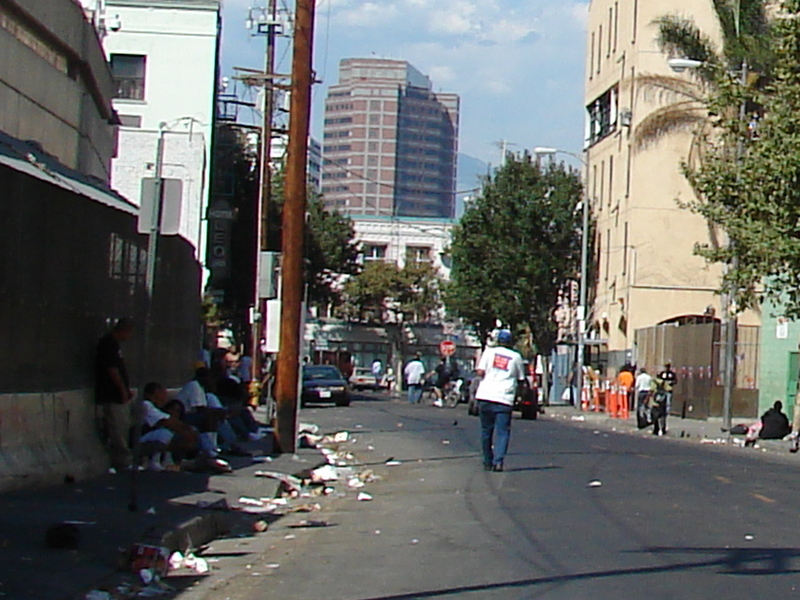 We saw areas of Los Angeles, that – frankly – looked much worse than Jericho. Where people looked poorer, and the buildings more derelict. The public transportation in Israel – with the exception of a very mean sherut driver – was terrific. You could get everywhere. The light-rail of Jerusalem is a work of art. We can argue – and do – about the two-state solution, versus the one-state solution, and what to do about Syria, and Egypt and Lebanon, where a dear friend grew up. But my biggest take away, is thinking about what to do HERE, with the situation in THIS desert – where there are far more homeless people, and not so many cats. Here’s hoping that in 2014, we can find ways to help the people who live in the divided Los Angeles, divided California, and divided America. hit the nail on the head. The problem is an issue that not enough folks are speaking intelligently about.